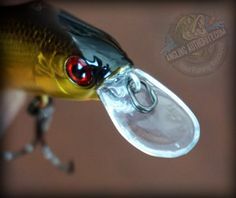 13 Fishing is a young, aggressive company based in Tampa, FL, who have created their own style in the tackle industry. Since their start in the freshwater and ice market a few years ago they have grown rapidly and are now found in over 350 retailers in the U.S., Canada and Australia. They are very active in social media and interact frequently with customers to evolve their offerings to relevant products for anglers. The official release date for these reels is March 17th, 2014. There’s a lot of interest in how they will perform; our team is really looking forward to getting our paws on these babies and giving our readers a detailed review! There will be 4 models of low profile baitcasters available. They are the Concept A, C, E and KP reels. The reels use materials like Airfoil Carbon and Magnesium to obtain light weight and frame rigidity. These Concept reels boast a 22-lb drag system as well to handle all your heavy cover needs. Looking at the specification sheet, it is clear to us that 13 Fishing is going to challenge the industry with this new line. We spoke with Matthew Baldwin of 13 Fishing, the lead designer of the Concept reels, to understand more about the new line. One of the first things we noticed and really liked was the use of cork on the handles. Matthew told us, “Everyone loves the handle design on the Concept reels. We wanted to use cork from day one…we went through quite a few shapes and finishes to get it right. The cork has a sealer on it to give it as much durability as possible. It is comfortable in your hand, light, and looks great! Obviously, after a period of time they should develop reasonable wear. But the comfort and overall performance far outweighs the negatives in our opinion”. We couldn’t agree more. It’s one of the main reasons that some anglers prefer cork on their rod handles. This is their entry level reel and is offered at US$170.00. It comes in a super slow 5.3:1 ratio, 6.6:1, 7.3:1 and 8.1:1. We would bet that the Concept A will be the most popular reel as it is very competitively priced and balanced with performance. With 22-lbs of drag and a weight of 6.7-oz this reel is going to be hard to beat. Looking at this mid-level reel we were asking ourselves “where’s the B? ?”; but the C is no slouch. 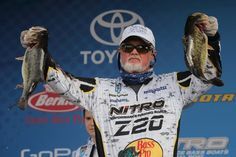 At US$230 it is definitely going to appeal to the serious angler as well as the tournament guys. Improvements in the C reel are weight reduction, bearings and spool improvements. This should translate into a meaner, leaner reel that can cast farther and keep up during a tournament. The Concept C is also offered in 4 gear ratios and has 22-lbs of drag as well as a weight of 6.1-oz. We have no doubt the E is going to be a really nice reel. At US$380, upgrades include Hybrid Ceramic Bearings, a lighter Magnesium frame/side-plate and improved anti-reverse bearing. This reel is undoubtedly going to be a beast and many anglers will want to see if it can keep up with them. Weight is really light at 5.78-oz and the drag rating remains unchanged at 22-lbs. 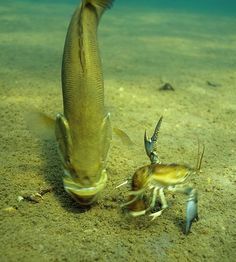 This makes sense to us and also shows that 13 Fishing is really thinking outside the box. There is nothing on these reels that you don’t need. Very little information has been released on this reel. 13 Fishing has released some of its specifications and at 5-oz flat its stats look impressive. One of the things our team was curious about was the drag rating drop to 13-lbs from 22-lb on the other models. We asked Matthew about this and he explained to us, “the Special Edition KP Model is built to be incredibly light, yet of a quality that no other 5-oz reel has ever been able to achieve. The giant 6 disk 22-lb drag would add a substantial weight to the reel, so we gave the KP an ultra-smooth 13-lb drag using 2 disks instead of 6. 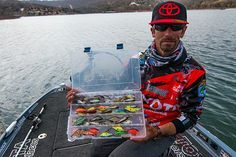 Almost every low-profile on the market has approximately 12-lbs of drag, this is enough drag to do almost anything in freshwater recreational and tournament fishing. 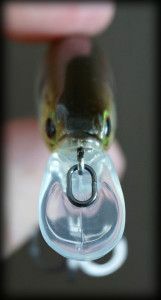 The A, C, and E models are all rated for saltwater and have been given enough drag to handle the beasts from the deep”. From what we’re told, the KP model will also feature a special KP Alumite spool that weighs .5-oz less than the A, C, and E models, as well as a special KP gear shaft design that is approximately 20% lighter than the already light aluminum E model shaft. Every aspect of the KP has been designed with weight and strength in mind. Even the screws in the KP model have been upgraded to eliminate weight. The team at 13 Fishing managed to avoid making parts out of plastic to achieve a 5.08-oz reel. This is the best quality ultra-lightweight reel ever made, it isn’t just a finesse reel. 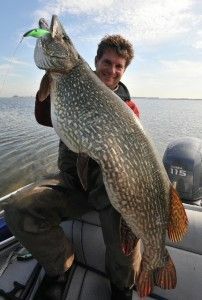 Matthew told us, “The KP is capable of fishing any technique on any lake in the North America”. 13 Fishing revealed to us that the KP Model final specifications were just approved and the reel will go into production in a few weeks (as of the time this article was posted). Images and more information will be released when it is available. The KP’s launch is currently estimated for mid April 2014. The Concept reels are available to pre-order on 13 Fishing’s website, as well as TackleWarehouse.com, FishUSA.com, and GanderMountain.com. You can also check 13 Fishing out on Facebook and Twitter. Tight lines and stay tuned for updates! FEB 15/2014 Update: Win it before you can buy it! We just launched a giveaway of the Concept A, courtesy of 13 Fishing. Click –>here for contest details. Liken them all!!! Very good looking reels! !